Posted August 15, 2018 by Astrid Mallet & filed under Beauty. 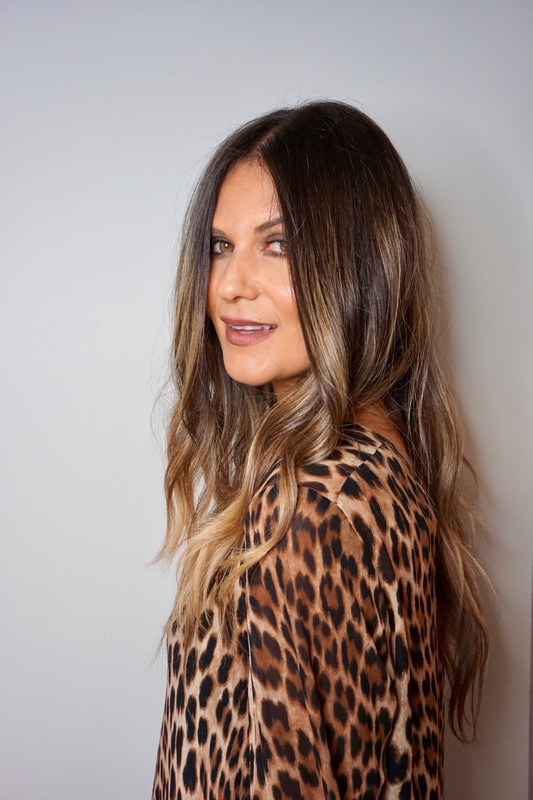 Hare & Bone hair salon in London Fitzrovia have collaborated with Nano Keratin, founders of Olaplex, to provide their newest smoothing treatment, NanoSmooth Pure. This chemical free treatment is targeted at the hairs DNA making it 80% more manageable to maintain moving forward. NanoSmooth Pure is a revolutionary product that contains herbal and plant based proteins in place of Keratin that work to realign the bonding structure of the hair. These work from inside out, whilst smoothing and altering the texture of the hair without damaging the integrity of it. 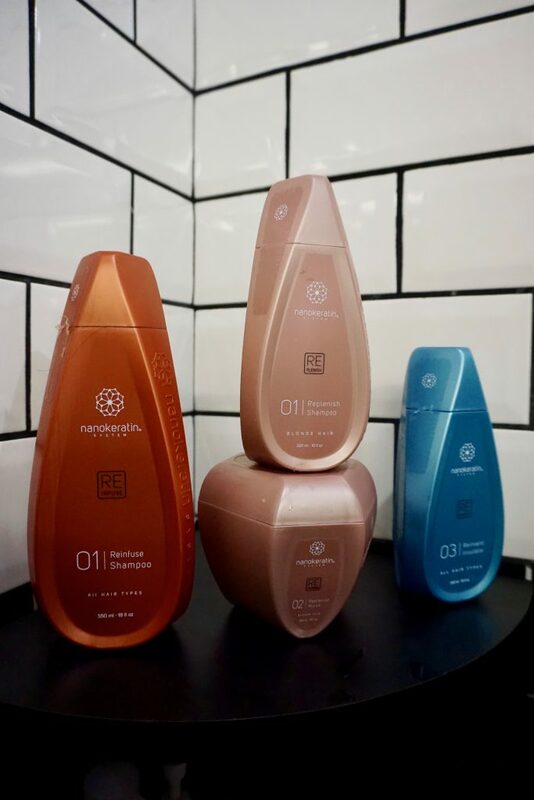 The four variants of NanoSmooth Pure include Revive for natural hair, Refine for coloured hair, Replenish for blondes and Refortify for afro hair. These are all interchangeable based on your hairs needs, whether you want to de-frizz, smooth, retain volume of the wave or curl of your hair or achieve a straight finish. The NanoSmooth Pure range also creates a humidity fighting layer over the hair, which shields against colour fade and cleanses the hair follicle to promote hair growth and scalp health. How does it differ from Keratin treatment? NanoSmooth Pure is completely free of chemical gasses, formaldehyde and aldehyde, as opposed to the original Keratin treatments that contains higher levels of chemical that would form a layer of product over the hair. 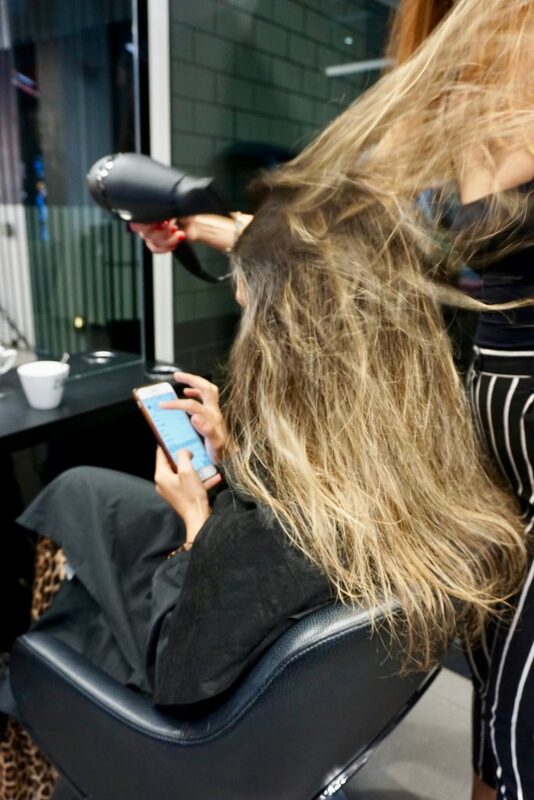 Penetrating the hairs structure to smooth from the inside out, this treatment leaves you with more movement and strength and can also be styled immediately after the treatment so you can leave the salon with a fresh blow-dry straight away. As NanoSmooth Pure is completely chemical free and the four variants of the treatment are all targeted to different hair types, it can be used on anyone. It is also 100% safe for use on pregnant women. For those who dye their hair, this treatment is best performed prior to colour or two weeks after colouring the hair. Results can vary, but should last 3-5 months. The use of sulphate-free shampoos and conditioners post treatment will help increase the longevity of the results. 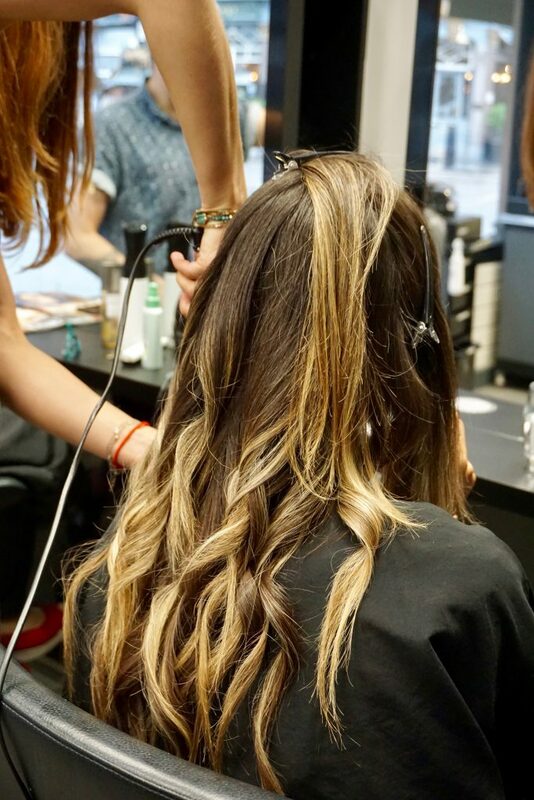 Depending on your hair length, type and curl formation the treatment can take between 2-4 hours from chair to door. “The treatment was amazing! It was raining when I came out from the salon and I didn’t have my umbrella, however my hair is still on point. Prices for the treatment start from £250 and vary depending on level of Stylist and length of treatment. For further information please contact Jas Mattu on jas@pushpr.co.uk or Sophie Outram on sophie@pushpr.co.uk.